The Lenovo IdeaPad 100s is only 11.6-inches, but that doesn’t mean you’re giving up any productivity. Geared for people on a budget that only need a device for light duty programs and schoolwork. 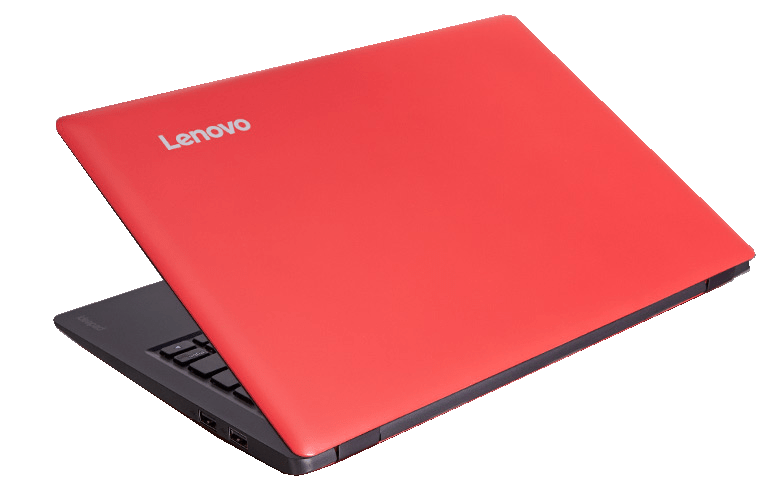 This is Lenovo’s answer to HP’s Stream 11, Asus X205 TA and the Dell Inspiron 11-3000 which are currently the segment leaders. 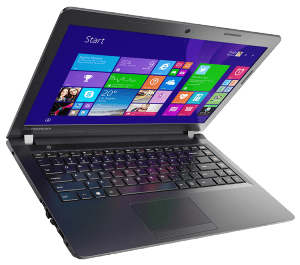 This little notebook comes with an Intel Atom Z3735F Quad-Core processor with 2GB of RAM, 32GB of EMC flash storage, an 11.6-inch HD display and Windows 10 and retails for $199.99USD. The design and build quality is surprisingly good for a budget notebook. It features a two-tone red and black plastic finish that looks gorgeous. On the bottom there are two speaker grills and no vents because it’s fan-less. It weighs in at 2.2 pounds and at its thickness it’s 0.60-inches. The interior of this notebook is constructed of all black materials. On top there are dual microphones and All-Point 3 megapixel front-facing camera. The left side features the AC charging port, a full-size HDMI, headset/microphone jack combo, and a microSD card slot. On the right side you have two USB 2.0 ports which is similar to the Asus X205 TA. 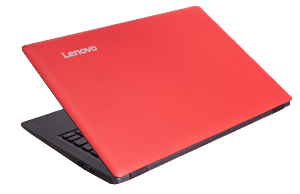 The interior features the power button, power status indicator, battery status indicator and the Lenovo One-Key Recovery Button. 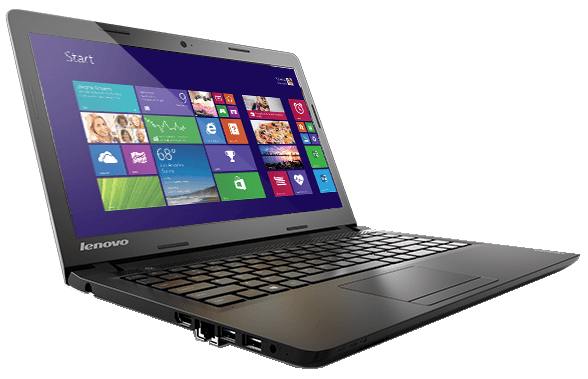 This compact notebook also features an 11.6-inch anti-glare TN panel with the resolution of 1366 x 758p. Because of the small screen size text and images are fairly sharp and clear. Unfortunately, just like the HP’s Stream 11 and the Asus X205 TA, the color accuracy is poor, but then again, it is a budget laptop. Also, there is some complaints about the lack of viewing angles, but with a little bit of patience you should find the perfect angle to make you happy. A nice thing about the anti-glare coating is that is dramatically cuts back on the keyboard reflection glare. Keyboard performance is about average. The key travel is a bit shallow and the tactile feedback is OK, but overall it does feel a little bit cramped. Like anything, once you get used to the keyboard your user experience will improve. The trackpad performance is very precise and smooth. Until Lenovo provides a driver update, the two-finger scrolling is not functional. The CPU powering this notebook is an Intel Atom 3735F, this is a Quad-Core chip clocked at 1.83GHz and using Turbo Boost, up to 1.8GHz. Less demanding programs like web browsing, office productivity and even HD Netflix video streaming will be just fine on this CPU. For the graphics you’re getting Intel HD graphics that is based on the Bay Trail architecture. Light duty games like League of Legends will be playable on this notebook, on average you can get around 20-25 frames per second if you keep your settings low. The biggest limitations of this notebook is the 32GB of EMC flash storage; out of the box you’re really getting about 19.7GB of free space. The performance is slightly faster than the traditional hard drive but the space limitation will be a deal-breaker for some. There is however a microSD slot for memory expansion. The battery performance is very good for a notebook this size. On average it gets about 7-7.5 hours on a full charge with 50% screen brightness. We thank the super power efficient Intel processor for this kind of battery life. One thing that isn’t awesome is the webcam capability with its 0.3MP sensor. So don’t expect to do much video chatting with this low functioning webcam. The two bottom-facing speakers are actually pretty good when you consider the price point of this laptop, the sound quality is adequate and the sound levels are great. 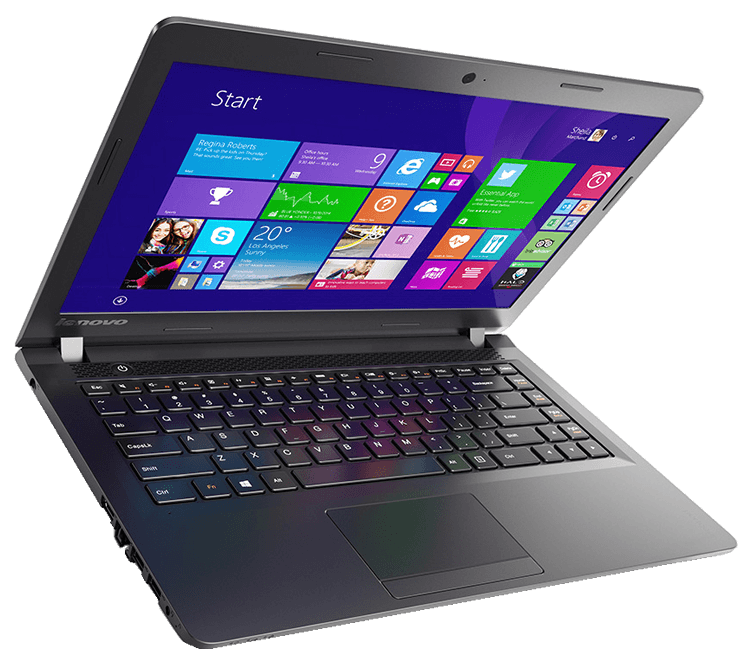 Price-wise and performance-wise this notebook can be also compared with an Acer Aspire One Cloudbook 11.6-inch laptop. All in all the performance of this budget laptop for light duty gaming and office performance and daily web browsing is great. 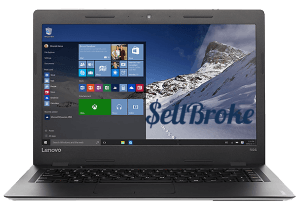 Planning on buying new laptop? You can sell us your used laptop, tablet or smartphone and get money to put towards a new computer device! 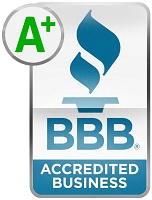 Get a quote right now on our site and see how you can benefit from selling your old laptop.